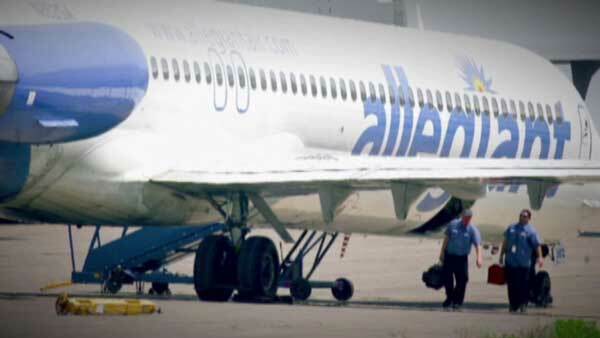 Allegiant Airlines is inspecting all the planes in its fleet after a flight headed to Illinois ran into trouble during takeoff. CHICAGO (WLS) -- Allegiant Airlines is inspecting all the planes in its fleet after a flight headed to Illinois ran into trouble during takeoff. The plane was heading to Peoria from Las Vegas last week. It was speeding down the runway for takeoff when the nose lifted up too soon. There was a problem with the part of the plane that helps it climb and descend. The Federal Aviation Administration is looking into what happened.